Spray drying is a process used to transform fine primary powder into larger granules which provide better characteristics (e.g. flowability, pressability etc.). 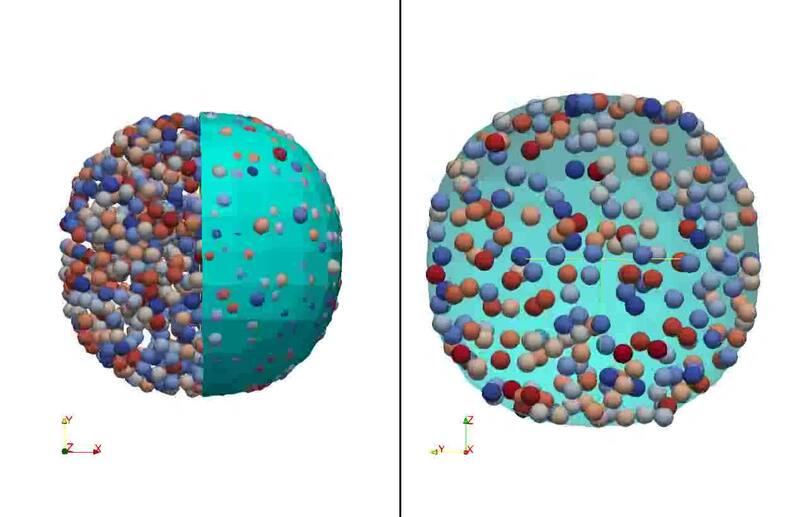 Our simulations focus on the evolution of the microstructure of the individual granules. Hence, the video shows an individual drop consisting of particles (spheres) and a liquid (only its surface is displayed). During the drying, the liquid surface recedes due to evaporation and causes the particles to form a spherical structure. Varying parameters such as surface tension, particle cohesion, friction and size distribution allows to study their impact on the final shape and structure of the granule.